1. 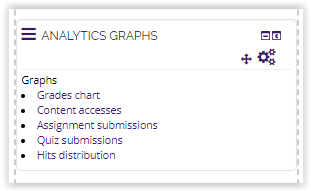 Open the Moodle page for the course for which you need to add the Analytics Graphs block. Click the green Edit button in the top right corner. 2. Use the Add a Block menu on the right side of the Moodle page to add the new block. 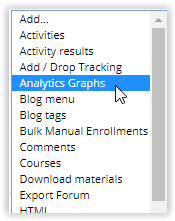 Click on the drop down menu and choose Analytics Graphs. 3. The new block will be added. You can leave the block where it is or move it around using the button. Use the Settings button to edit the block, and click one of the five links in the block to view the graphs. 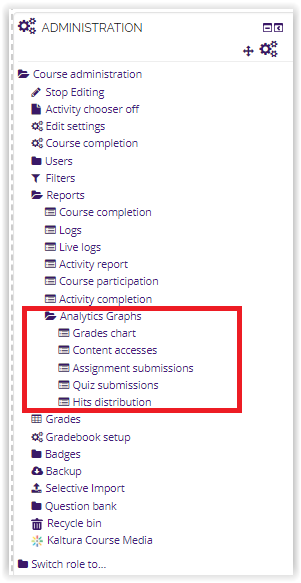 For LSU online instructors, the Analytic Graphs feature is already integrated in the administration block on the Moodle page. It is built into the Reports section.